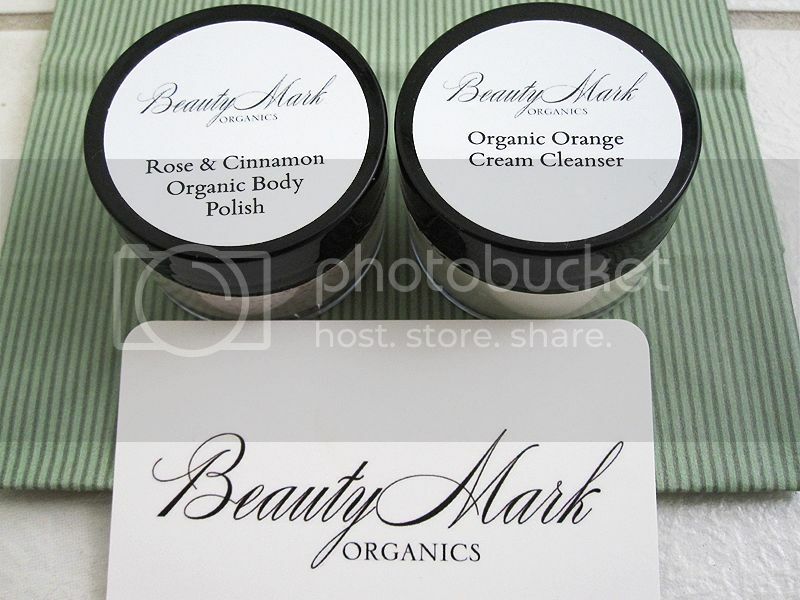 I was given the opportunity to try Beauty Mark Organics skin care products and received samples of the best sellers: Rose & Cinnamon Body Polish and the Orange Face & Body Cream cleanser. Rose & Cinnamon Body Polish: It is is hand-crafted with walnut shells that act as an exfoliant and will eliminate dry and dead skin. 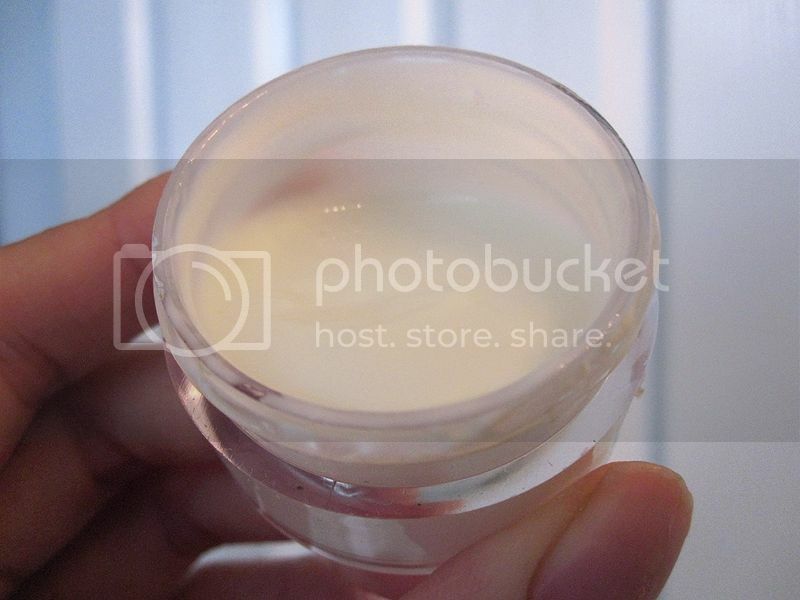 This body polish can also be applied on the face, for a little extra rose colored glow. You only need a drop for the face. It also tones the skin. 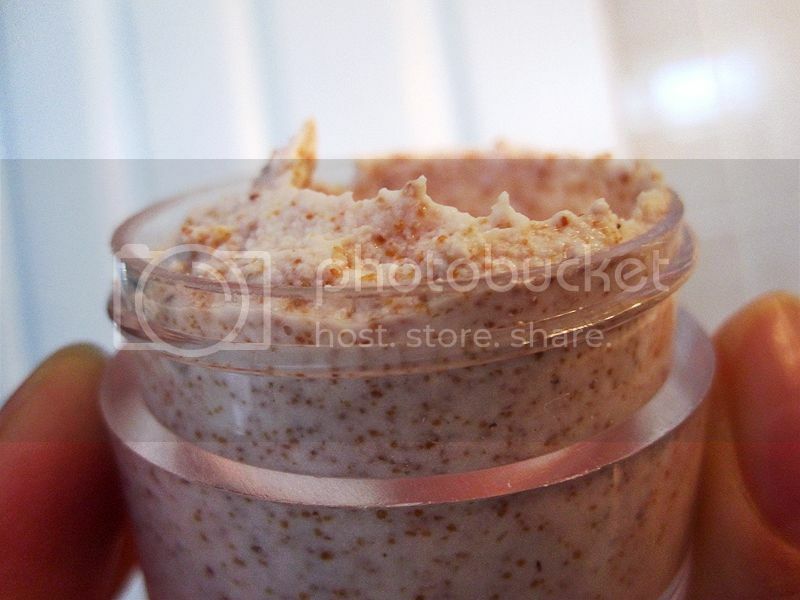 I love the nice fragrance and this wonderful body scrub made my body feel smooth and exfoliated after my shower. It cleans very well and I felt refreshed. This is my new favorite. Orange Face & Body Cream cleanser: It is a milk cleanser with anti-aging properties and great for removing make up. It is also a huge hit with men because they like to shave with it. I've never tried using cream cleanser before because I always thought it might be greasy or clog my pores. I just apply onto a cotton pad and gently wiped around my face. After trying this cream cleanser, it worked really well for cleaning off make-up and foundation on my face.Love that citrus scent. I also used a small amount for removing eyeshadow. Jenna Lobos is the founder of BeautyMark Organics. 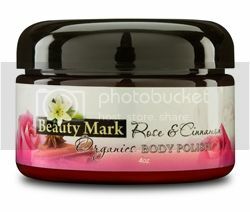 Everyone should feel the radiance of confidence in their skin, which is why BeautyMark Organics was created. The philosophy behind BeautyMark Organics is to love your skin and to live an experience of beauty from the inside out. Disclosure: I received samples of the above mentioned Beauty Mark Organic products from the PR Firm/company in exchange for my review. The opinions expressed in my review are my own personal and honest thoughts. No other compensation was given.